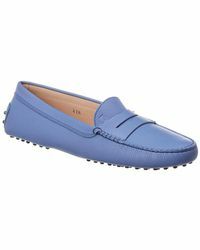 If you don't already have a pair of Tod's Gommini flats, where have you been? 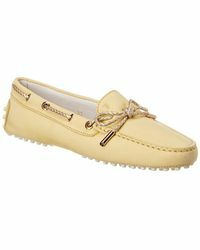 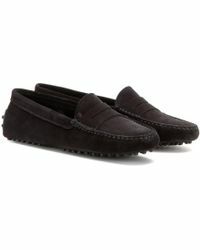 Iconic to the brand, the Gommini come in a loafer style and are made from luxuriously soft suede for ultimate comfort. 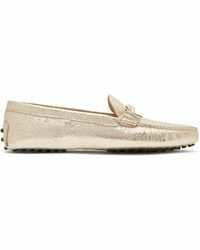 Made by hand, these flats are finished with a square toe and lightweight rubber pebble sole for added traction, making them perfect for driving and city walks. 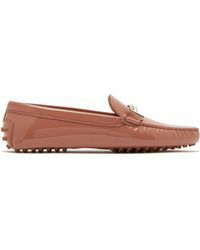 Choose from the range of timeless Tod's Gommini flats here, from classic blues and blacks to bright reds and oranges to go with the rest of your wardrobe.